All Reflexologists develop their own unique style of Reflexology from years of experience and postgraduate courses in specialised areas. On your first session Cathy will ask about your health and lifestyle so she can formulate a treatment plan to best suit you. Reflexology looks at the individual with all their lifetime of experiences and health issues, not just the symptoms you are presenting with. Many clients turn up for their first appointment with a nagging health issue that just won’t go away or are taking a raft of medications, some of which are merely to combat the side effects of other medications. Reflexology isn’t to be used instead of these medications. It is a complimentary therapy which helps your body work more efficiently. We work with your other health practitioners on your journey to wellbeing. Some clients are able to reduce medications once their body regains balance, but any changes to medications should always be done under the guidance of your GP. As a natural therapy, Reflexologists believe emotions play an enormous role in illness and disease. In Chinese medicine it is believed that if the body’s energy channels or meridians are blocked then disharmony and disease can set in. TCM also considers emotional effects on the organs, with prolonged extreme emotions causing a yin-yang imbalance affecting the flow of chi and blood to all the organs. Relaxation is the target of every session. To drift away into a blissful state even to the point of sleep is very beneficial to the functioning of all the organs and the mind. Stress plays a large role in the development of disease, so during a Reflexology session the nervous system is given time to rest, relax and restore, to create a balanced environment both physically and mentally. Cathy has trained in many post graduate modalities and has a special interest in diet/lifestyle choices as a way of gaining optimal health along with regular exercise and relaxation such as reflexology. With each session Cathy gets to know you better and also can assess how you react to treatments and adjust sessions to how you are feeling on a particular day. The practitioner/client relationship is a very privileged position to be in and Cathy will always treat the information you share with her in the upmost confidence and security. 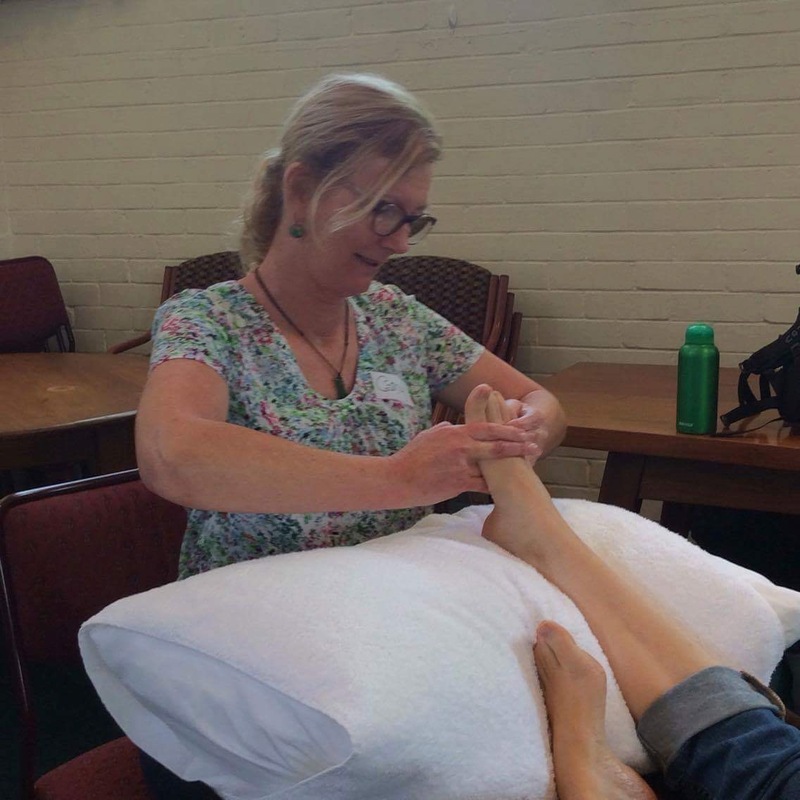 As a professional therapist she is bound by the Code of Ethics and Practice set by her governing body – Reflexology New Zealand.